Stand out from the rest with the impressive Formulate Snake. This eye-catching tension banner is guaranteed to carry your brand message across. 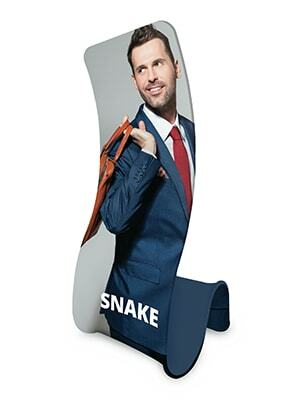 Combined with its unique shape, the imposing Formulate Snake stands tall at a grand height of 2.38m, making it a great alternative to traditional banner stands. This free-standing tension banner is manufactured from strong, yet lightweight 30mm diameter aluminium tubing and dressed in a washable, zipped tension fabric. 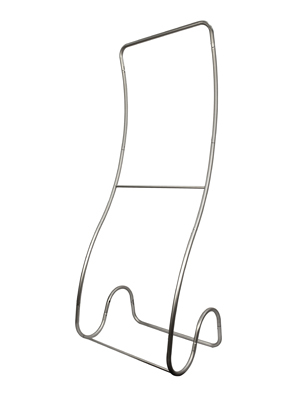 Simple to build and easy to transport, the Snake includes a padded carry bag complete with carry handles to store the framework and graphics. This tension banner is ideal if you’re looking for a unique accessory to carry your brand message and is sure to catch the attention of your audience.